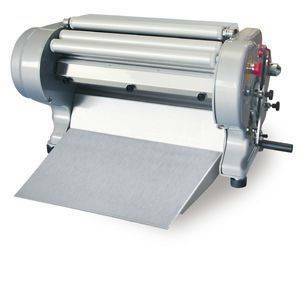 Vertical compact bench type dough sheeter. Suitable for general dough lamination. Painted steel frame. Thickness adjustable with graduated lever. Front stainless steel chute.